The northern part of the Okavango Delta is not known for its high density of cheetah because the habitat here is challenging for them for many reasons… for one, the grass is tall for a large part of the year; there is water that needs to be crossed, exposing them to the very real threat of crocodiles and then there are high densities of other larger predators such as lion, leopard and hyena. 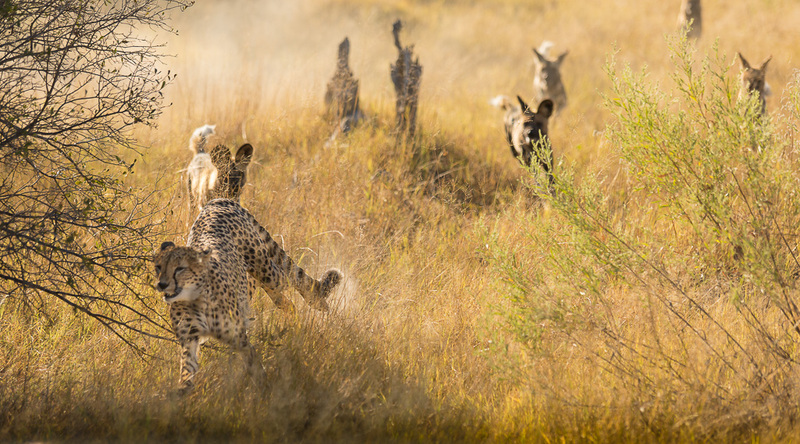 These real threats played out in a phenomenal sighting we had between some wild dogs and cheetah…an explosion of action that none of us could have predicted! 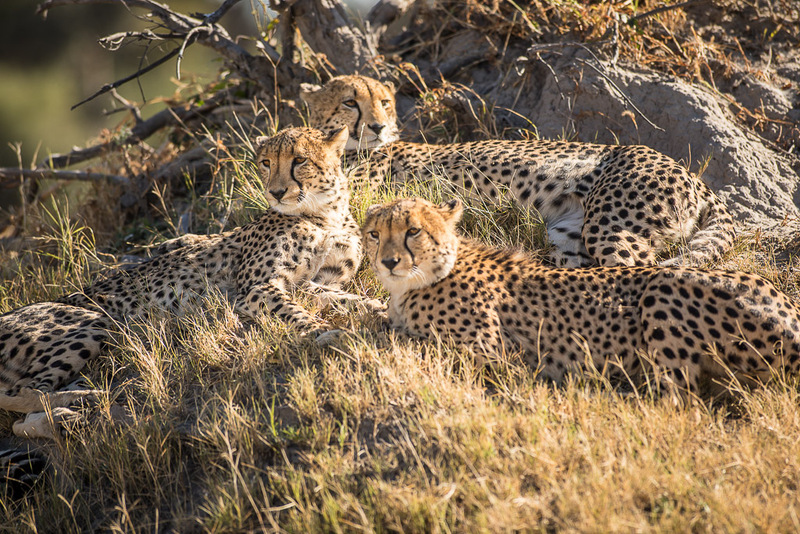 Three young cheetah, probably around 2 years old or so, had been spotted. 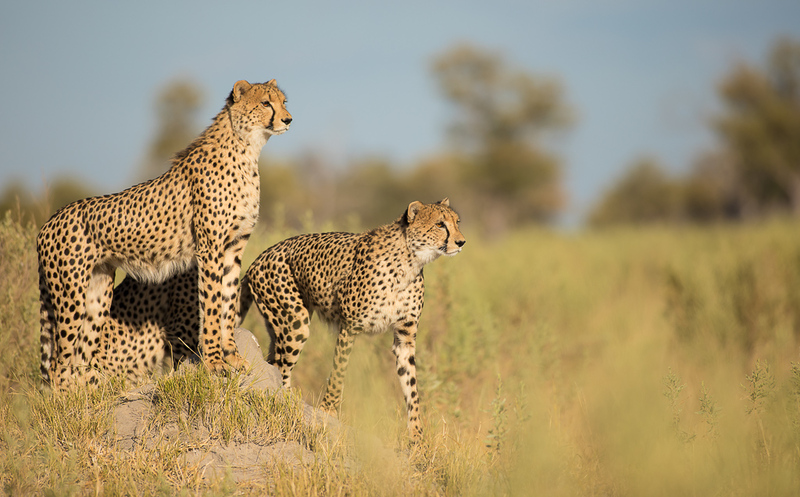 As we joined the sighting, they were posing in classical cheetah fashion on an old termite mound that elevated them above the surrounding grasslands. Their focus was locked on the tree line just ahead of them.  One of the three started walking forward purposefully and all of a sudden, a herd of impala erupted from the woodlands, bouncing and ‘pronking’ in an exaggerated style, typical of how they behave when wild dogs are present. The one cheetah took off, focusing on the nearest impala, and within a very short distance had pulled it down. Almost simultaneously, a pack 16 wild dogs were on the scene. They had obviously been after the same impala, but when they saw the cheetah, they lost focus and gave chase to the cheetah, that burst right past the front of our vehicle and off into the grassland, where fortunately it managed to lose the dogs. We decided not to follow the cheetah, as they would’ve been very stressed from their surprise encounter. We stuck with the wild dogs, who by this time had scattered, hoping to find the cheetah again. 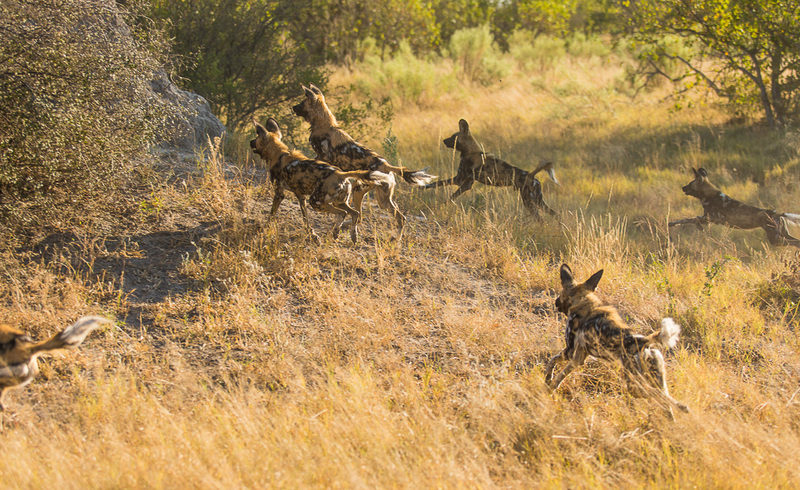 The reason wild dogs chase other predators, and this applies to all predators, is that they’re all competing for food and don’t want any extra competition. 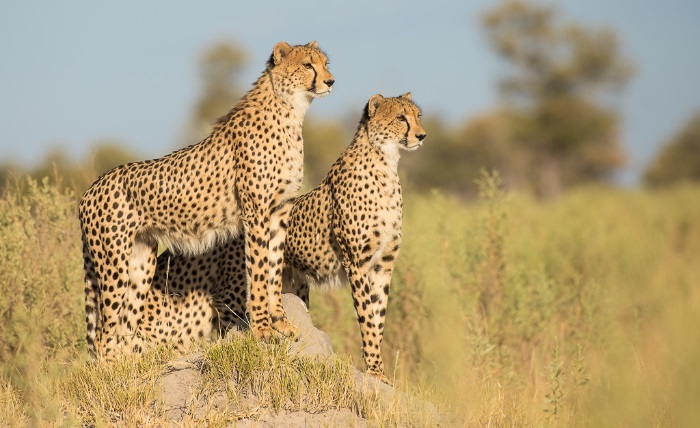 Unfortunately for the cheetah, they are near the bottom of the list when it comes to strength, so they often lose their kills and are regularly killed by the larger, stronger predators. Fortunately in this case all survived, including the impala, that I’m sure is still in therapy after experiencing what has to be one of the closest calls possible!